Your Will sets out who your property will go to after you pass away. If you don’t have a Will, then in some cases your property may go to the Government or the Public Trustee may administer your Estate. Your Will takes effect after your death. A Power of Attorney is a document whereby you appoint a person to do anything you could do in relation to any of your financial affairs, including land. An Advance Care Directive allows you to authorise another person to make medical and lifestyle decisions (such as living in a nursing home) on your behalf if you become unable to make those decisions yourself. An Advance Care Directive provides security for you in knowing you have a person appointed should a decision need to be made for you. We understand the emotion and stress that inevitably follows the death of someone close to you. We are here to ease your burden in any way we can. 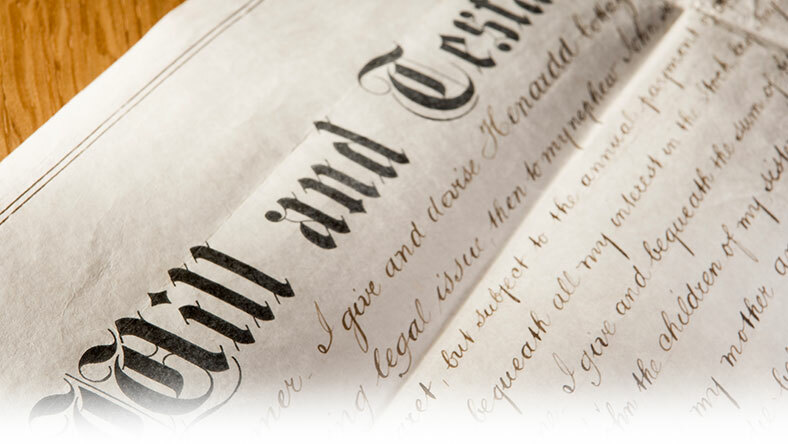 Our expert team of solicitors are highly skilled in the administration of Estates (whether or not a Will is in place) and matters relating to the administration of Estates. Have you unexpectedly been left out of a Will? Or were you left a small inheritance in the Estate and feel you should be entitled to more?